When you think about upgrading your Ajax home, you may think about getting a new roof or installing new kitchen cabinets. While both may be worthwhile or needed projects, you may overlook how important or powerful upgrading your windows can be. 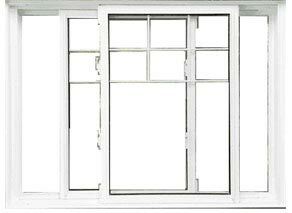 Replacing the windows impacts both the look of your home and the energy performance. Finding the right windows can increase your home’s value. 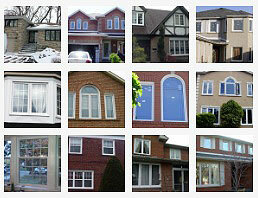 Total Home Windows and Doors offers the best replacement windows for your Ajax home at the best prices. 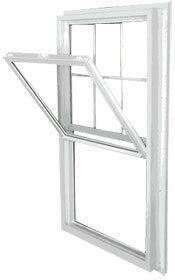 Our vinyl windows feature top quality materials and superior construction. They provide an additional layer of insulation for your home, helping to keep out the warm air in the summer and keep it in during the winter. With vinyl windows, you’ll be able to maintain a more consistent internal temperature without constant adjustments to the thermostat, and you’ll also be able to save significantly on your home heating and cooling costs. 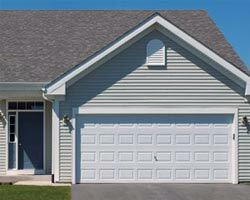 We also make it more affordable to purchase your vinyl windows and maximize your savings. 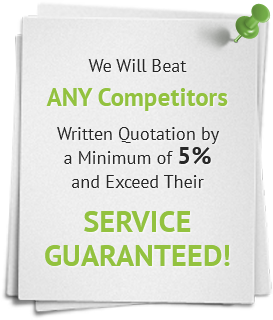 We’ll beat the price of any other Ajax windows company by at least 5 percent if you show us a written estimate. 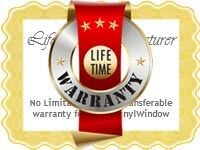 We also back up our products with a lifetime warranty. You can be confident in the investment you are making with us, not just in the quality of the windows but in their performance, as well. You won’t be limited in your design choices. 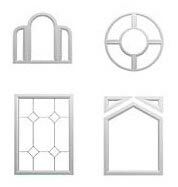 We carry a wide selection of styles for our windows, from plain casement windows to more expansive bay windows. You can achieve any look you’d like for your home. Open floor designs are an extremely popular trend amongst homeowners these days. Builders are designing new spaces with the idea to create as much space as possible, allow for maximum exposure to natural light and to draw the eyes upward. 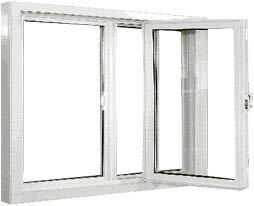 This would include installation of quality Ajax windows and doors. 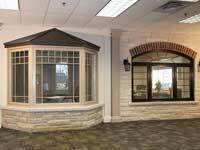 At Total Home Windows and Doors, it is our desire to help our customers choose the best replacement or new windows Ajax for their home, whatever the style. 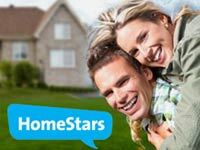 Homeowners usually choose to replace windows when they have suffered damage from weather, or they are looking to upgrade or sell their homes. Not only are homeowners replacing older windows, they are also installing new ones as well. 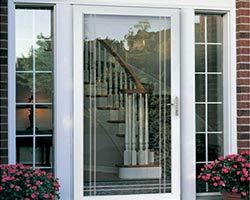 Our wide selection of Ajax windows is designed to allow ample natural lighting to enter your home Whether you opt for standard windows such as double or single hung windows or modern windows such as bay or bow windows, we have whatever you need! Picture windows are a great way to open up any room and allow for gorgeous views of the great outdoors. Who doesn’t love an unobstructed view of a cityscape or a breathing sunrise? As such, allowing for exposure to natural light as many benefits as well. Sunlight invokes happiness. Take a look around your home to see if any of your windows as well as their size and placement allow ample exposure to natural light. If you depend more on artificial lighting such as lamps and ceiling lights, you could be putting a damper on your mood, which will affect the overall vibe of your home. 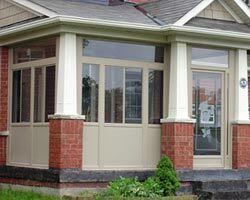 Other than those who are skilled at DIY repairs, most homeowners do not know how to replace or install new windows Ajax. Which is perfectly understandable, as this can be a daunting task. 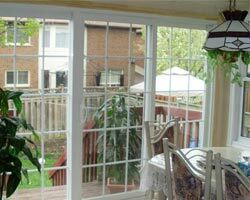 It is best to leave window installation to the professionals if you are not skilled at home renovations. 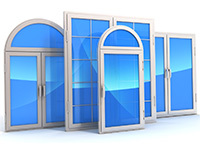 As well, a professional windows installer will be able to take exact measurements as well as assess the overall energy efficiency and safety of your Ajax area home. 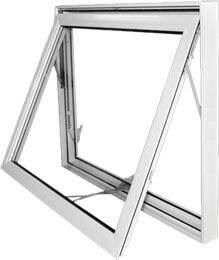 New Ajax windows will help improve the energy efficiency of your home as they can be filled with inert gases between the panes for added insulation. 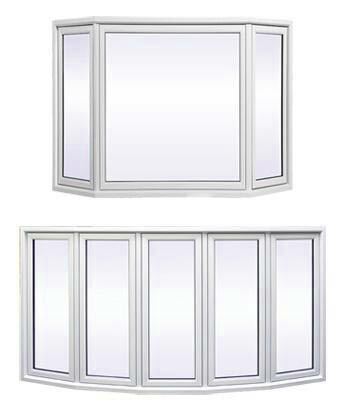 You can save a great deal of money on your money energy costs by installing vinyl windows. 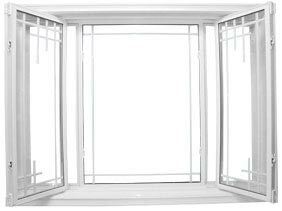 As well, replacement windows can help prevent air leaks, which will prevent uncomfortable drafts and maintain a comfortable temperature in your home. New windows can also give your home a much-needed face-lift. They can drive up the resale value of our home and increase your curb appeal, not to mention, durable vinyl windows are sturdy and can help prevent home invasions. 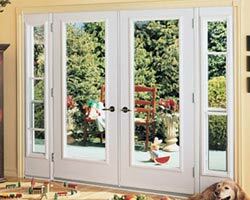 They have strong locking mechanisms which will give the peace of mind that your home is safe. 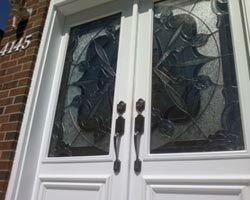 Total Home Windows and Doors has earned a reputation as the best windows company in Ajax for a reason. Contact us today to learn more about our exceptional service and low prices.